It’s frustrating to use chopsticks when you haven’t gotten the hang of it. It’s worse when you’re doing so on an empty (or close-to-empty) stomach. But you’re not alone. 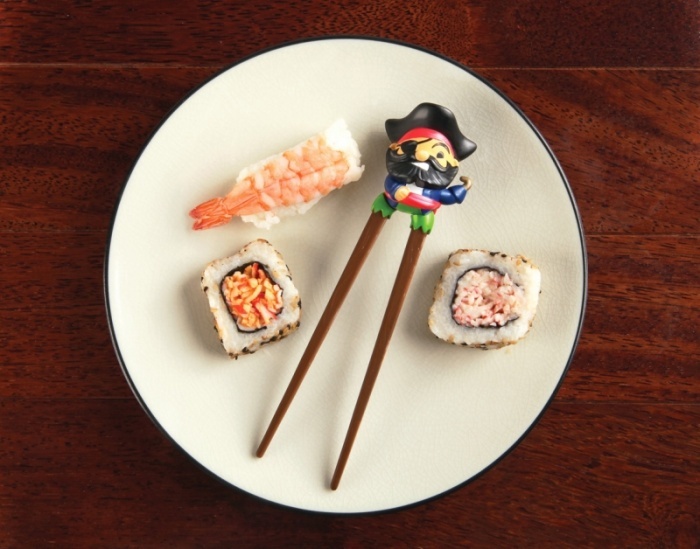 The pirate at the end of these uber adorable chopsticks echoes your sentiments with his comically pained expression, and he wants to help you. With his mere presence, he turns the chopsticks into sort-of clips that makes picking up food easier. They’re great if you’re just starting to learn to use chopsticks. The Peg Leg Pirate Chopsticks are available online for about $6. Eat ramen the way Chuck Norris would with these Nunchops Chopsticks. As its name so cleverly implies, they’re chopsticks linked with a plastic chain like nunchucks. You won’t be able to flip ’em and twirl ’em around menacingly to scare off your enemies, but you will be able to eat your meal like a boss. The chain also means you won’t misplace one or the other, since the chopsticks are linked together. For someone who hasn’t gotten the hang of using chopsticks yet, these 2-in-1 Double Helix chopsticks sure look complicated. But don’t be deceived by the twisted end, because it won’t affect how you’re supposed to use them at all. 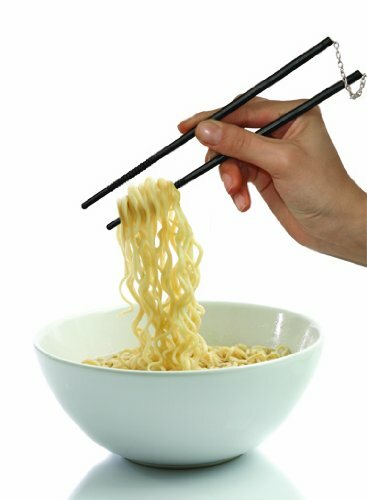 In fact, you’ll be able to use them like regular old chopsticks, because you won’t be holding the helix portion while you use them to pick up your food. Designed by Nendo, the Double Helix chopsticks solve the first-world problem of storing chopsticks. The helix allows each of the sticks to fit perfectly with the other, decreasing the chance of losing one of sticks when you’re carrying them around.